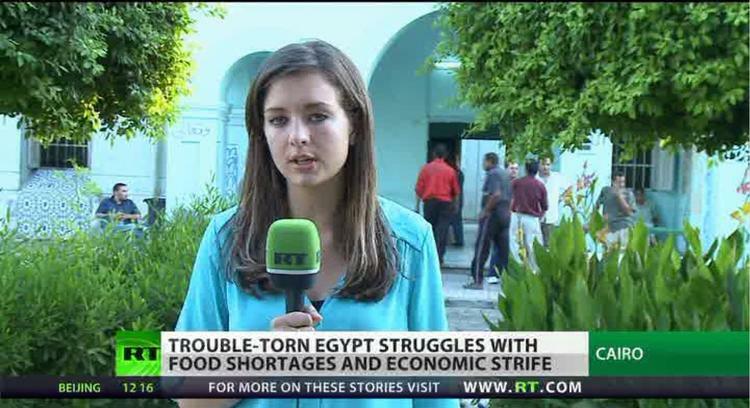 In the midst of its political crisis, Egypt also faces rising food prices that are hitting the poor hard. This rise comes on top of tremendous price increases for staples under deposed president Muhammad Morsi this past year, as a result of the government not importing enough wheat and the 15% fall in the price of the Egyptian pound. The fall of the pound made all imported goods, including wheat for flour and therefore bread, more expensive. The high food and diesel costs were among the things that made Morsi increasingly unpopular with the peasant and working classes. Meanwhile, the USG Open Source Center translates an article by Abd al-Sattar Hutaytah, Cairo, in the Pan-Arab, London-based daily, “al-Sharq al-Awsat” [The Middle East] for Aug. 10, which details the plans of the interim government in Egypt to disperse the Muslim Brotherhood slowly over three months rather than with a sudden attack that would risk high rates of fatalities. “Al-Sharq al-Awsat” has details of the Egyptian plan to break up the Muslim Brotherhood (MB) sit-in in Rabi’ah al-Adawiyah Square. 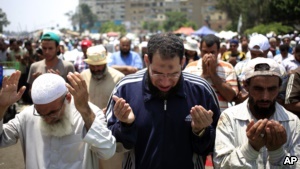 The plan adopts a “gradual” rather than a “decisive” approach to ending the protest, in which tens of thousands of people demanding the return of former President Muhammad Mursi to power are participating. Mursi was ousted by the Army under tremendous popular pressure in early July. The Egyptian authorities two days ago announced the failure of the international efforts to resolve the crisis, which might lead to a cycle of violence in the country, especially after the Islamists threatened to escalate violence against the state in case the Rabi’ah al-Adawiyah sit-in, in which fugitive MB leaders are barricading themselves, is broken up. Sources said that top Egyptian leaders held several high-level meetings in the past two weeks “to deal with the MB problem” as mediation efforts by international parties from the United States and Europe ended with the MB insisting on its rejection of the new situation and refusal to end the protests. They said the plan that the Egyptian leaders drew up, and which will be implemented in the next 48 hours, seeks to break up the protest “gradually”, not through “a sudden attack or a single blow” as some people expected. The aim is to “evade the fall of a large number of victims.” The sources said the meetings, in which Army and security leaders took part, were held based on “the popular authorization” that the new authorities obtained on 26 July.